Bootstrap templates are more powerful and beautiful than normal CSS templates. 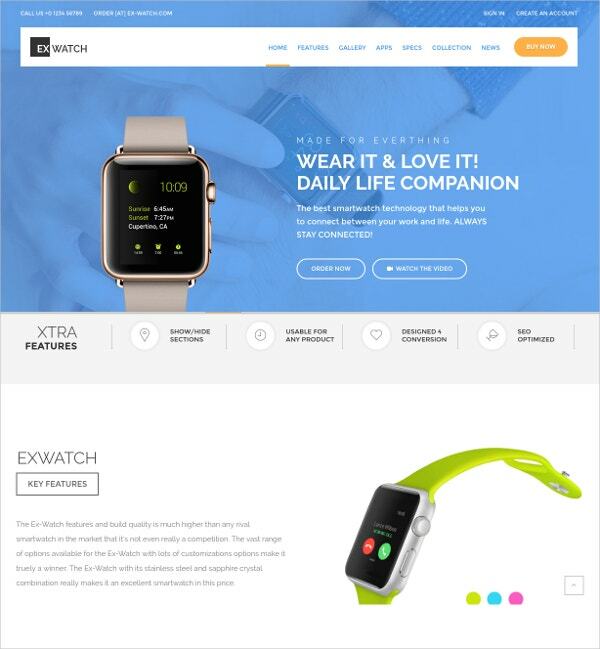 Our Bootstrap Templates and themes are beautiful, high quality and super easy to modify. What’s more, they’re flexible and support the popular flow of responsive design, allowing for multiple layout options to fit all popular screen resolutions. As e-Commerce is a very enriched medium to sell your products and its really gaining a lot of popularity in today’s environment it is very much important to promote your site with the help of a great template. So look after all the template and find the one which suits you the best. 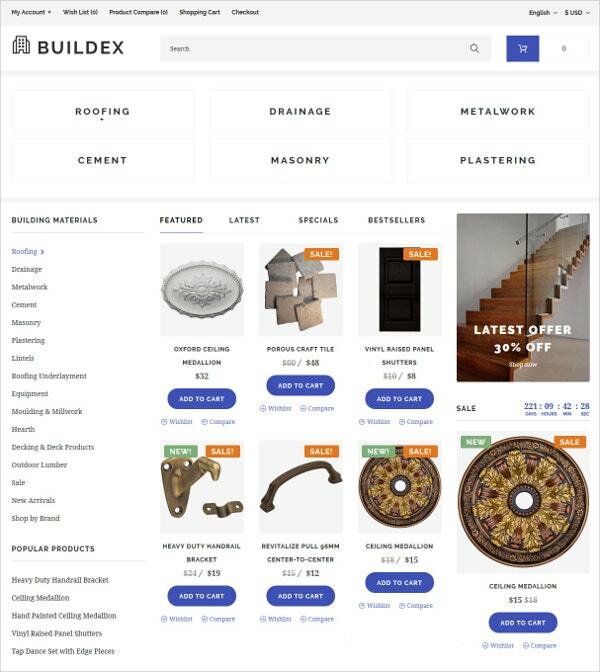 Building Materials eCommerce Template can be easily adaptable to any gadget with any screen size. It allows you to edit the text, color, and fonts. It is a highly responsive template. This attractive looking Premium Bootstrap eCommerce Template is very dynamic, easy to use, fully responsive and unique. It is perfect for any store or custom projects. It is designed using the latest version of Bootstrap, 3.1. This is a very professional and well-designed template with extensive plugs and flexible tools. 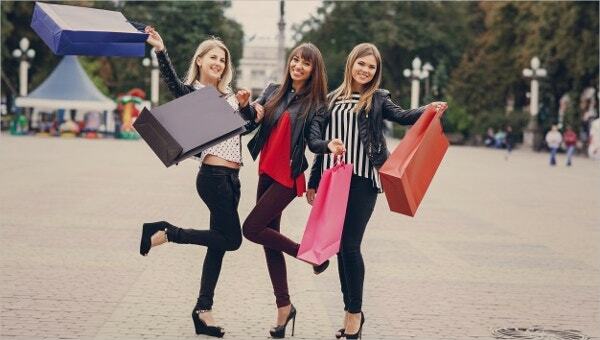 It can surely be used as the best advertising tool for your upcoming fashion business. 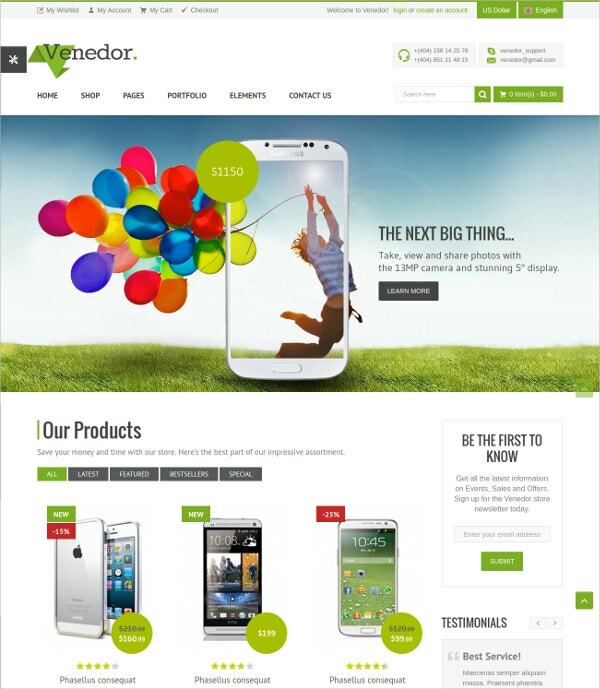 This is a premium Responsive eCommerce Bootstrap Template. It comprises of 5 diverse skins and it makes a very fine-looking template for mobile devices. It is user-friendly and comes with a powerful revolution slider, SEO optimization and full-width slider. 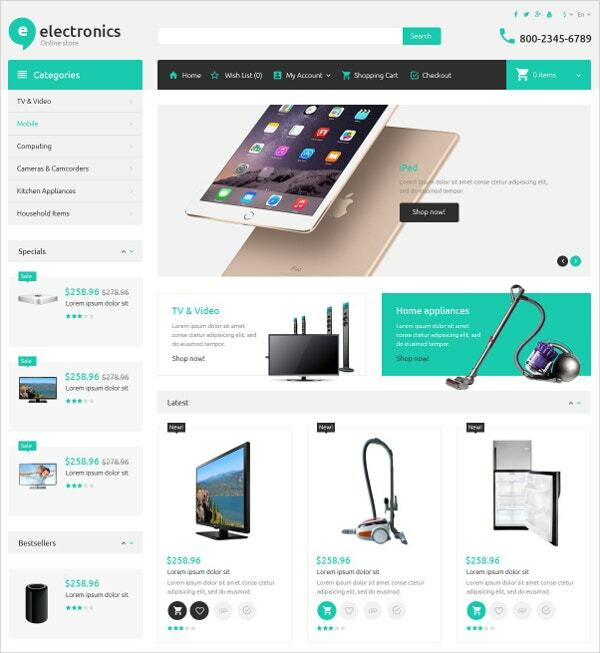 This well-designed Electronic Store eCommerce Bootstrap Template comes with a print-ready option. It has a 300 dpi resolution and CMYK color mode. The advertising layouts with additional settings make it a highly good-looking theme. 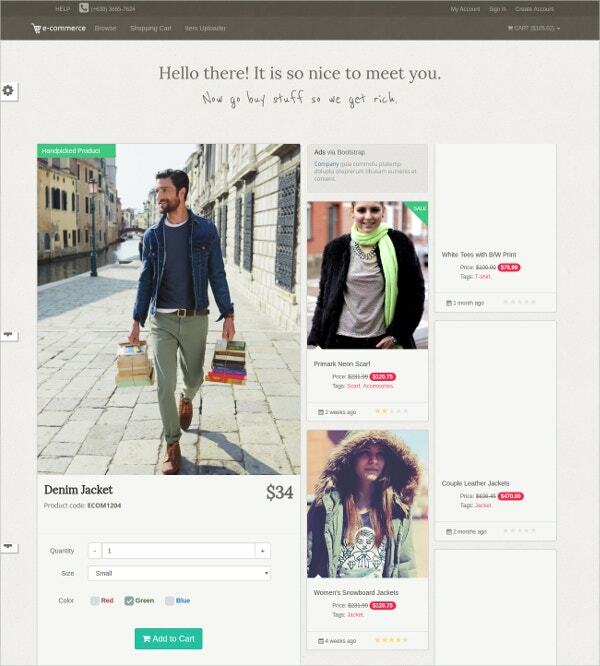 You can also see Mobile Bootstrap Templates. With a print resolution of 300 dpi and in CMYK color mode, Apparel eCommerce Bootstrap Template is specially designed for the eCommerce website. It is fully responsive based on bootstrap3. 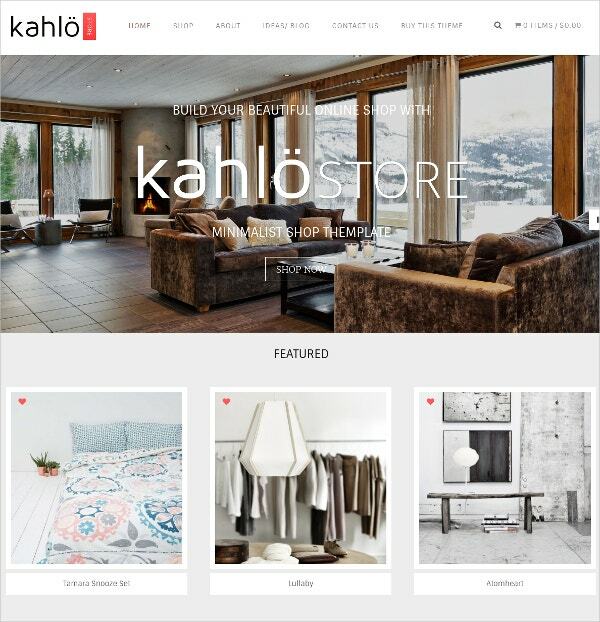 It features 4 home pages and uses HTML5, CSS3 code. With this Online Shop eCommerce Bootstrap Template you can create powerful, useful and high-performance resolutions that can let you grow your business. It comes with the well-written code, Font-awesome Icons, and responsive nature. Well-matched with all types of browsers, this is a comprehensible theme. This print-ready template can be used for corporate commercial advertisement, etc. It comes with CMYK color mode and it supports all types of layouts. You may also see Jewelry Bootstrap Templates. Responsive Design eCommerce Bootstrap Template is specially designed for most prevalent eCommerce platforms, like Magento, woo commerce and much more. 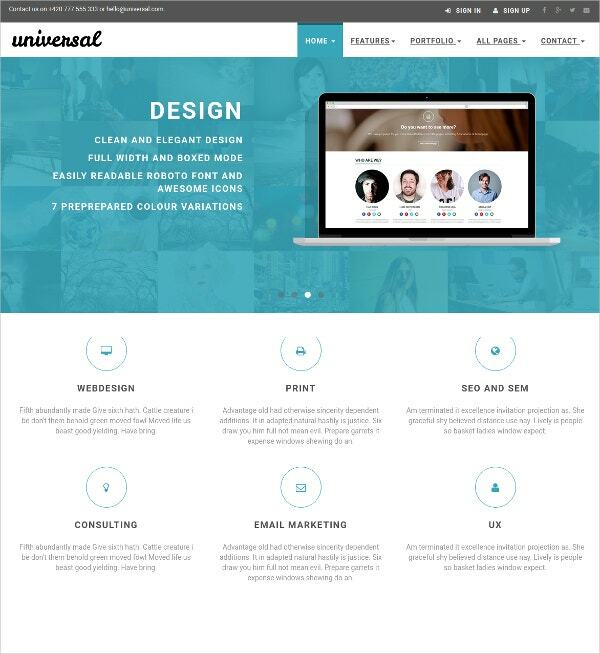 It contains 40 PSD template, google fonts, 5 homepages, etc. Its well organized layers let you easily edit PSD elements. 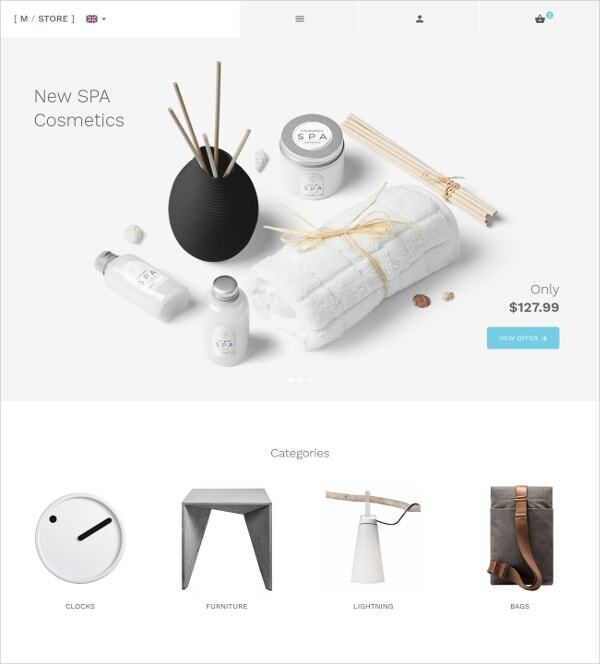 This is modest, clean and simple e-commerce HTML template suitable for trades,businesses, and online shop portal. It is fully responsive, retina ready and uses google fonts. It contains 16 HTML pages and LayerSliders. 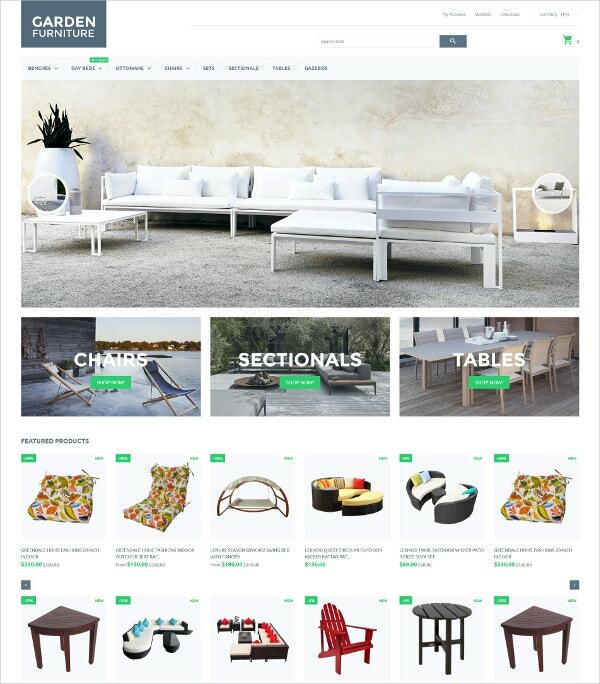 This Garden eCommerce Furniture Bootstrap Theme can be used for start-up companies, bloggers, and corporate. It offers you with the easily editable option. It has very good layouts and fonts. A design that comes with a minimal, clean look and Nordic as well as an image slider that is the main feature of this template. It is classy and up-to-date with a lot of white space. 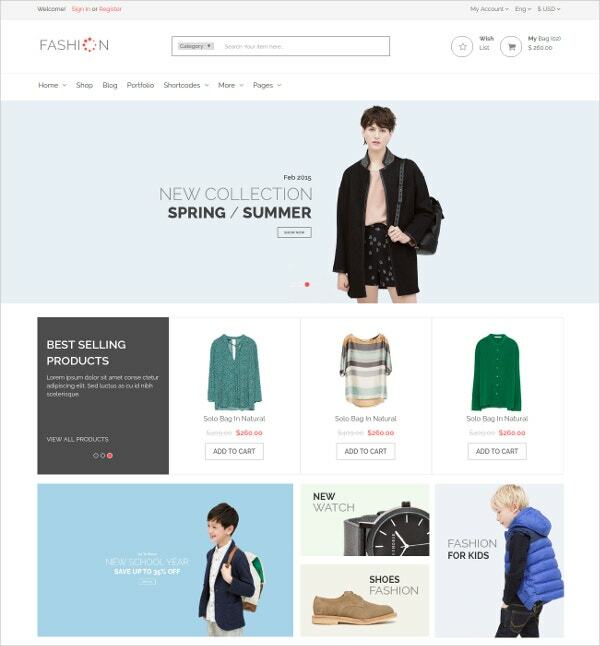 eCommerce Landing Page Bootstrap is sparkling and modish universal website template designed with Bootstrap 3.3.2. 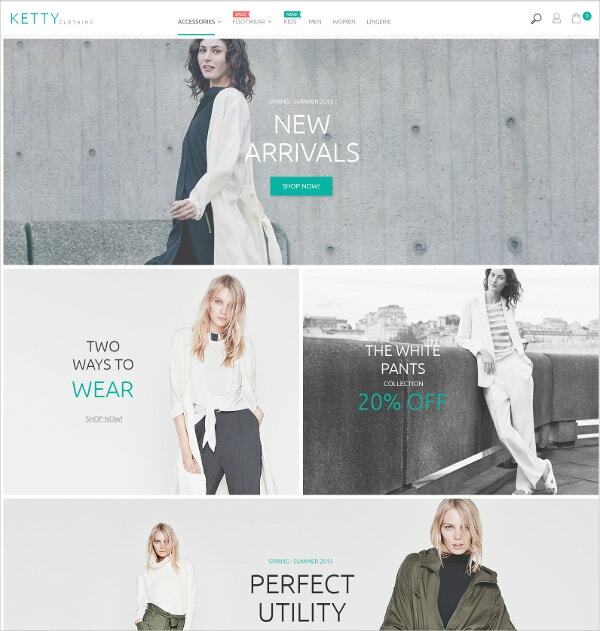 It is different from other templates because of its clean design and well-designed typography. If you wish to start with a new business, a new portfolio or an ecommerce website then this template can be best for you. 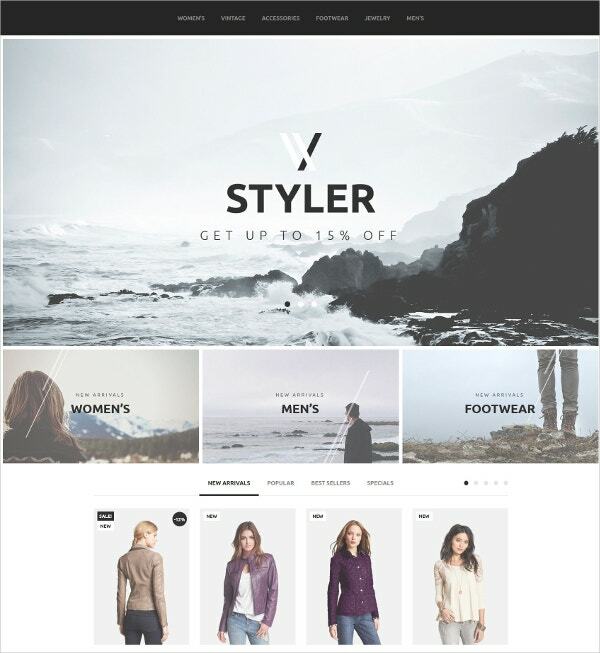 It is a stylish, clean and modern website template built with Bootstrap 3.3.2. 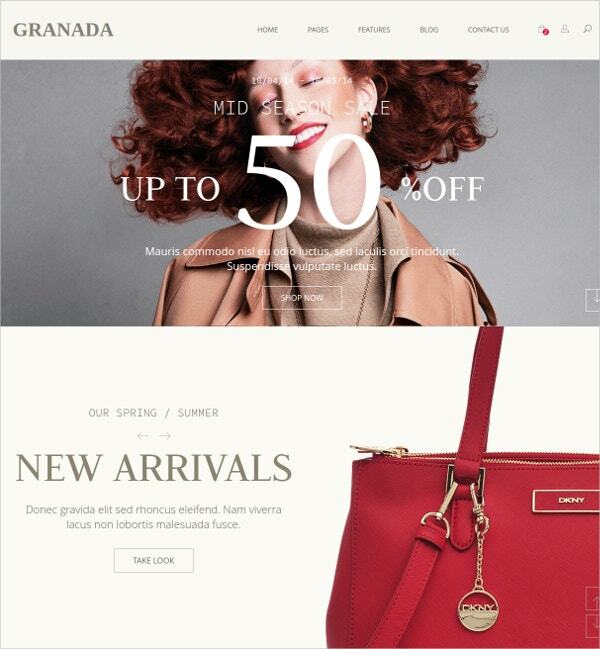 If you wish to have a good-looking website, then an eye-catching template is a must. All the above-mentioned bootstrap e-commerce templates are tremendously customizable, flexible, simple to use and has a responsive design. They also allow you to grab the attention of its customers.